(PR NewsChannel) / March 6, 2018 / MINNEAPOLIS, Mn. Matchaah Holdings, Inc. (OTC Pink: MCHA) announced today the appointment of an independent auditing firm – a Public Company Accounting Oversight Board (PCAOB) registered CPA firm – as the company’s new certifying accountant, effective immediately. The firm will audit value and assets as Matchaah Holdings, Inc. prepares for further growth and major product introductions in 2018. Modern tea beverages made from an ancient superfood. This is premium Japanese tea, reimagined. MATCHAAH! Tea for better being! Why matcha tea? Known as the “miracle elixir,” this deep green tea has been an integral part of Japanese culture and tradition for centuries. Matcha is the highest quality green tea, offering a Far Eastern approach to healing and health along with centuries of wisdom behind it. No wonder matcha is now considered one of the most powerful superfoods available. We are a publicly traded company. And we invite you to join us in bringing better being to the world. The more we grow, the more impact we can make, together. Let’s recognize the significance and opportunity to share this ancient Japanese tea, while leading the way in matcha tea innovation. Help us bring better being far beyond our products to inspire greater meaning. In 2018, we’ll launch the first of many of our corporate and social responsibility programs, what we call Brands for Better Being. More coming soon. Won’t you join us on this amazing journey? Subscribe to our investor mailing list. The MATCHAAH!® Shots are great – will you be coming out with other convenient formats? Absolutely! Stay tuned, you’ll be amazed to see what’s coming in 2017. How long do MATCHAAH!® products last? We recommend you consume the MATCHAAH!® Shots and Instant Latte mix within 18 months of purchase (unopened). After opening, we recommend drinking the Shots within one day and using the Instant Latte mix over a 60 day period to enjoy maximum freshness. Do MATCHAAH!® Shots have to be refrigerated? No, although they do taste pretty amazing chilled. Will this make me jittery or nauseous? No, because unlike coffee, our products are not acidic. And while they all contain natural caffeine, it’s the equivalent found in less than ½ cup of coffee, per serving. Natural caffeine is countered by the L-Theanine to give you a long-lasting state of calm, clean energy. When is the best time of day to have MATCHAAH!®? Any time of day! Our products all have natural caffeine, about the same amount in less than ½ cup of coffee, per serving. Perfect for a pick-me-up before your work day or for a dose of focus for that big presentation. What is the MATCHAAH!® “Calm Alertness” experience? Calm alertness is a lift in clean energy, mood and focus without any of the nervous energy (i.e. coffee). There are no spikes and crashes, or anxiety. just clarity of mind. Is your MATCHAAH!® Shot an energy shot? How is this different? You’ll experience a perfect lift in clean energy, mood and focus. It’s a natural, plant-powered alternative to synthetic, artificial options. How do you make MATCHAAH!® products taste so good compared to others? That's our secret! Here’s what we can tell you. It starts with premium Japanese matcha tea, paired with natural flavors to complement the specific premium matcha that we use. We create a perfect marriage of flavor profiles to create an unforgettable and irresistible flavor that you can feel great about drinking. Why aren’t other brands telling us how much of their special ingredient they’re putting in their beverages? Other brands may include trace amounts of an ingredient in their formula or proprietary blend so they can include it on the label. MATCHAAH is different. We are committed to authenticity and transparency. And we strive to produce the highest quality, best tasting, healthful beverages. Period. How are you measuring the antioxidant levels in your products? We use the ORAC value. I don’t understand how there can be so many health and functional benefits with so few ingredients? Are you adding supplements to your product? No. That’s what makes premium matcha so magical. It’s rich in fiber, chlorophyll and vitamins. It’s packed with 10X times the antioxidants of a cup of traditional green tea. It’s loaded with EGCG, catechins and polyphenols too. Even better, there’s an abundance of the rare amino acid L-Theanine, which promotes a state of relaxation via alpha waves in your brain. What are the 11 nutrients and 16 functional benefits in MATCHAAH!®? How is matcha tea different from other tea? Matcha tea is hand-harvested in a labor-intensive process that’s different from other teas. With matcha, you ingest the whole leaf, taking in more of nature’s goodness, like antioxidants, EGCG, catechins and other healthful benefits. What exactly is premium matcha tea and where does it come from? Premium matcha tea is a shade-grown green tea; harvested by hand and stone ground to a fine, delicate powder. For nearly a thousand years, the best matcha tea in the world has been grown in Japan, which is exactly where MATCHAAH!® comes from. Our next premium matcha tea beverage will be announced soon! Take a guess: will it be Fruity ?? or Indulgent ??? 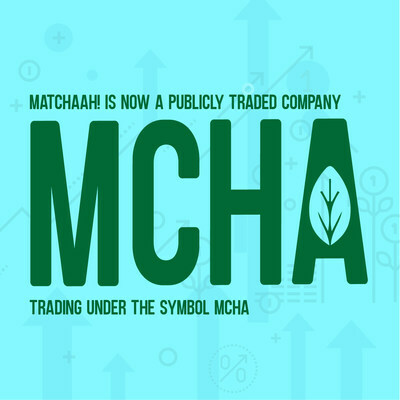 MINNEAPOLIS--(BUSINESS WIRE)-- Matchaah, Inc. (OTC:MCHA), a transcendent company in the consumer drink industry, today announced it has new distribution agreements with several new retailers to carry and sell its MATCHAAH!® line of premium matcha tea-based products. Consumers can now find and purchase the products at hundreds of retail locations throughout the Midwest and on Amazon. This distribution announcement continues a wave of momentum for Matchaah, Inc. Earlier this week, Matchaah announced its debut as a publicly traded company. New deals with more distributors are in the works to help bring MATCHAAH!® products to the masses through restaurants, coffee shops, health food stores and other traditional and non-traditional retail channels. One of those deals, with a large multi-state regional convenience store distributor, will supply schools, institutions and other unique channels to bring matcha tea into retail channels it’s never been in before. Matchaah plans to introduce other products into the market over the next few months – and already has purchase orders in hand from distributors for some of those products. MATCHAAH!® Shots – They are the first-ever “ready-to-drink” matcha tea products on the market. Available in 2.5-ounce containers and in raspberry, lemon-lime and blueberry flavors. MATCHAAH!® Instant Latte – New this month, it’s an instant premium matcha tea blend and the perfect alternative to a coffee latte. Simply add to hot water, stir and enjoy. Despite these remarkable health benefits, traditional matcha tea hasn’t achieved mass adoption for two primary reasons. First, it’s an acquired taste; it’s known as pungent and grassy. Second, preparing it requires a lengthy and often labor-intensive process. MATCHAAH!® products have transcended the traditional matcha tea category and now appeal to tea drinkers and non-tea drinkers alike. They pair the elements and health benefits of matcha tea with simple ingredients and new taste profiles to create innovative flavor experiences. They also deliver those experiences through a variety of convenient formats that people already know and love – in ready-to-drink and ready-to-mix formats. Matchaah Holdings, (MCHA) is a publicly traded food and beverage company based in Minneapolis. Together with its wholly owned subsidiary, Matchaah, Inc., it develops, markets, sells and distributes premium matcha tea-based products. MATCHAAH!® is tea for better being – it helps you think, live and play better. The company has an accomplished, passionate and visionary executive team, and is led by founder and CEO Paul Henson – the innovator who helped bring milk flavoring straws (found in most major U.S. retailers) to the market. The entire Matchaah team is committed to bringing premium matcha tea and its health benefits to the masses in formats and flavors consumers know and love, while maintaining authenticity and transparency. For more information, visit http://www.matchaah.com/. The statements made herein contain forward-looking statements that are based on management’s current expectations and assumptions and are subject to risks and uncertainties. If such risks or uncertainties materialize or such assumptions prove incorrect, our business, operating results, financial condition and stock price could be materially negatively affected. In some cases, forward-looking statements can be identified by terminology including “goal,” “believes,” “objective,” “can,” “may,” “will,” or the negative of these terms or other comparable terminology. We operate in a rapidly-changing environment and new risks emerge from time to time. As a result, it is not possible for our management to predict all risks, nor can we assess the impact of all factors on our business or the extent to which any factor, or combination of factors, may cause actual results to differ materially from those contained in any forward-looking statements the Company may make. MINNEAPOLIS, Aug. 1, 2017 /PRNewswire/ -- Matchaah, Inc. (OTC:MCHA), a wholly owned subsidiary of Matchaah Holdings, is excited to announced that it has become a publicly traded company and is being traded on the OTC market under the ticker symbol "MCHA". In addition, the company plans to launch a second product, an Instant Latte, under its MATCHAAH® brand in August 2017. MATCHAAH has reinvented the matcha tea experience by bringing the popular tea to the masses in multiple flavors and convenient formats that do not require the traditional whisking or preparation needed for matcha tea. The MATCHAAH Instant Latte – is a unique, convenient, ready-to-mix premium matcha tea drink expected in three well-liked flavors: chai, chocolate chili spice and coconut. This is the second product anticipated to launch this summer, following the unveiling of MATCHAAH shots in May. In addition, MATCHAAH plans to release more ready-to-drink and ready-to-mix matcha beverages throughout 2017 and 2018 at retailers, restaurants and coffee shops nationwide. "Our beverages make it easy for anyone to choose a healthier drink option" says Paul Henson, CEO and founder of MATCHAAH and a twenty-year veteran in the Consumer Packaged Goods beverage industry. "When I discovered matcha tea, I fell in love with the daily ritual that brought my family together and the functional and nutritional benefits of matcha tea. I wanted to share those benefits with everyone and since most people do not have time for a lengthy tea process, I set out to find convenient ways to make matcha tea more accessible and create a full line of great tasting and convenient products. I wanted to create different flavor experiences that would entice non-tea drinkers and give current matcha tea drinkers a new experience." Consumers continue to choose nutritional and functional beverages that help them feel good and support a healthy lifestyle. Its no wonder that more and more are drawn to matcha tea, commonly referred to as the "miracle elixir," for its chart topping antioxidants, natural caffeine, high levels of L-Theanine and the famed calm alertness matcha tea is known for. Matcha tea has been a part of Japanese culture and tradition for centuries, offering a Far Eastern approach to healing and health. MATCHAAH has compressed these qualities into modern beverages and convenient products to help consumers think better, play better and live better. MATCHAAH shots are currently available at a select retailers in the Midwest and on Amazon and the new instant latte will be available at the same retailers in August. A store locator is under development and is expected to be available at Matchaah.com in the coming months. MATCHAAH products are expected to be served in restaurants and coffee shops in the coming months as well. Matchaah Holdings, (MCHA) is a publicly traded, U.S. food and beverage company that, together with its wholly owned subsidiary, MATCHAAH, Inc., is based in Minneapolis, Minnesota where they develop, market, sell and distribute premium better-for-you matcha tea based products under the overarching brand MATCHAAH. MATCHAAH is tea for better being, led by an accomplished and visionary team of consumer packaged goods experts and is committed to bringing premium matcha tea to the masses in formats and flavors consumers know and love. MATCHAAH is more than tea – it is a line of products to help you think better, play better and live better, standing by values of ingredient transparency, functional and nutritional value, and making a healthy lifestyle accessible to all. Formed in September, 2016 Matchaah, Inc. develops, markets, sells and distributes premium better-for-you matcha tea based products under its overarching brand MATCHAAH(R). As both a dynamic company and brand, Matchaah is led by an accomplished and visionary team of consumer goods experts - ranging from retail category management, new brand development and launch, foodservice distribution and marketing to supply chain management and finance. For the uninitiated, matcha tea is an antioxidant powerhouse that is shade-grown, typically in Japan. The hand-picked green tea leaves are de-stemmed by hand, then stone ground into a fine powder and are consumed as powder to deliver all of the nutrients and antioxidants packed into this vibrant leaf, including the powerful antioxidant catechins and EGCg's known for a wealth of health benefits. Matcha tea also produces an extraordinary functional benefit known as "the famed matcha calm alertness effect" that has made this sought after and used for centuries; which is one of the attributes contributing to the rapid growth in the U.S., market, as consumers seek out natural alternatives to functional benefits such as energy. The naturally occurring caffeine in matcha works with its rare amino L-theanine to provide this "calm alertness", which is a mental clarity that feels like energy without the typical caffeine buzz. However, until now, in order to be prepared for consumption, the matcha tea powder has required extensive work in the form of an intensive whisking and sifting process where the powder being methodically and precisely added with water through a sifter using a specialty whisk and the proper technique to produce the correct consistency in the beverage. To eliminate this labor intensive step, Matchaah's proprietary process allows Matchaah to bring matcha tea to the masses by making it easy to enjoy all the healthful benefits in convenient product formats and in a wide range of flavors, requiring no preparation. Even as a nascent beverage leader, as a market-leading force, Matchaah transcends the tea category with a diverse and growing product line in which the company combines this antioxidant powerhouse and healthy super-food (which contains more than ten times the anti-oxidants of traditional green tea and 137 times the EGC's) with existing drink and food product categories that consumers know and love. The Matchaah product line consists of products that will launch in both emerging and high-growth retail categories, foodservice and specialty distribution channels, as well as currently stagnant categories struggling with a lack of innovation. Matchaah, Inc., a Minnesota corporation, the wholly owned subsidiary of Matchaah Holdings, Inc., is headquartered in Minneapolis. As stated Matchaah, Inc., was founded in September of 2016 and decided to enter the U.S. capital markets through a reverse takeover of a publicly traded company ("RTO"). That publicly traded company was Gear International, Inc. As part of the RTO and the transactions described below, Gear International, Inc. changed domiciles from the State of Wyoming and was reincorporated in the State of Delaware. In order to effect the change in domicile, a certificate of conversion and a new certificate of incorporation were filed in the State of Delaware and the company's charter was dissolved in the State of Wyoming. Matchaah Holdings, Inc., a Delaware corporation was incorporated on December 21, 2016 as part of the RTO and the related reorganization effected pursuant to Delaware General Corporation Law Section 251(g) by and among Gear International, Inc., Gear International Holdings, Inc. and Matchaah Holdings, Inc. (the "Reorganization"). Under the terms of the Reorganization, the shareholders of Gear International, Inc. became shareholders of Matchaah Holdings, Inc., Gear International, Inc. was merged with and into Gear International Holdings, Inc., with Gear International Holdings, Inc. surviving and emerging as a wholly owned subsidiary of Matchaah Holdings, Inc. (the successor public issuer). Simultaneously with the Reorganization and as part of the RTO, the shareholders of Matchaah, Inc. entered into a share exchange agreement with Matchaah Holdings, Inc. and Matchaah, Inc. became a wholly owned subsidiary of Matchaah Holdings, Inc. As part of these transactions, in order to accommodate the acquisition of Matchaah, Inc., Matchaah Holdings effected a 1 for 7,109 reverse split of its common stock. Shareholders who would have held fewer than 100 shares following the reverse split were rounded up to 100 shares and fractional shares were rounded up to the next full share. Following the RTO and completion of these transactions, Matchaah, Holdings, Inc. became the successor publicly traded issuer, with 50,062,527 shares of common stock, $0.0001 par value, issued and outstanding. Gear International Holdings, Inc. will be spun off so that the shareholders of record of Gear International, Inc., immediately prior to the aforementioned transactions, will receive all of the shares of Gear International Holdings, Inc.; and Matchaah Holdings, Inc. will have only the one subsidiary, Matchaah, Inc.. The officers and directors of Matchaah, Inc. became the officers and directors of the publicly traded, successor issuer, Matchaah Holdings, Inc. and the shareholders of Matchaah, Inc. received 96% of the issued and outstanding shares of Matchaah Holdings, Inc..
MATCHAAH!™ Shots, in three refreshing flavors: Raspberry, Blueberry and Lemon-Lime. 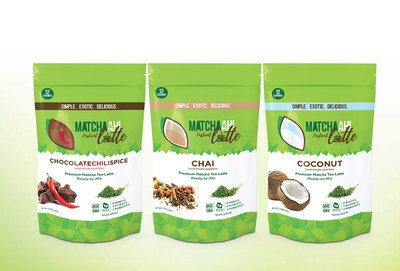 Matchaah, Inc. is committed to being the leader in matcha tea innovation by bringing the world’s best-tasting, highest quality matcha beverages and mixes to market in great flavors, and affordable and convenient formats, so anyone – tea and non-tea drinkers alike – can enjoy the functional and nutritional benefits of this centuries-old, antioxidant-packed superfood. MATCHAAH!™ Shots are part of the company’s long-term strategy to lead the market with a full spectrum of exciting and delicious beverage products that include the powerful health benefits of the country’s fastest growing tea. The first of several product formats to be released in 2017, MATCHAAH!™ Shots exemplify the innovation and commitment of the company to make an ultra convenient, easy to stock and store, non-refrigerated product that appeals to anyone. With only 20g of natural caffeine, and only six simple ingredients, MATCHAAH!™ Shots provide an accessible, nutritional, great-tasting boost of mental focus and clarity with chart-topping antioxidants. What makes these shots incredible – and different from any other matcha beverage on the market – are the bursting fresh fruit flavors in the smallest of ready-to-drink matcha tea formats, containing all the benefits of a full serving of matcha tea. In June, MATCHAAH!™ will launch the revolutionary, ready-to-drink MATCHAAH!™ Latte with a few key retailers, bringing the perfect coffee alternative and more innovation to a multi-billion dollar category. This game-changing product appeals to tea aficionados, traditional coffee drinkers, and everyone in between. MATCHAAH!™ Latte will be the healthiest ready-to-drink latte on the market, winning on flavor, function and benefits. Matchaah, Inc. is also committed to complete authenticity and transparency and proudly displays the amount of match tea, nutrients and antioxidants on all of its products. MATCHAAH!™ Shots will be available for purchase in May 2017 on Amazon.com and at select retailers nationwide. Additional products, including the MATCHAAH!™ Latte, will be unveiled in the coming weeks and months.